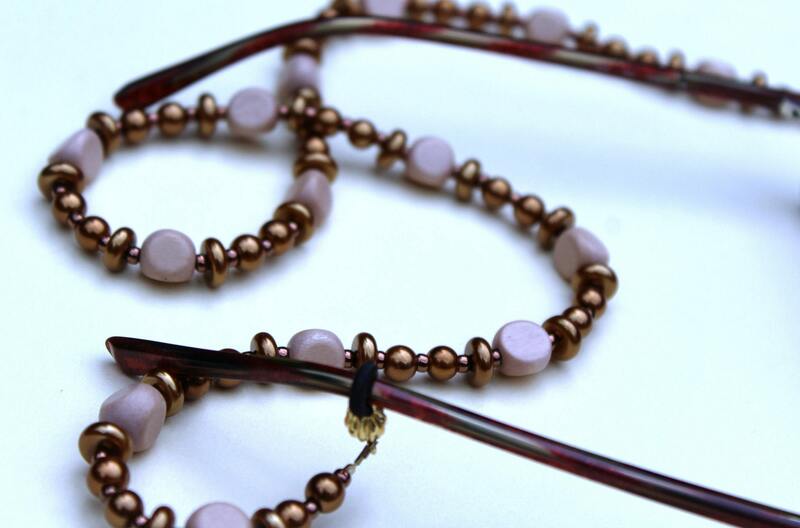 This eyeglass chain is a definite win! It will match anything golden, brown, tan, blue, orange...the list goes on and on! Copper works so well as an accessory because it is neutral and can be paired with so many colors, yet it has such a deep, rich, presence all on its own. Also, this eyeglass chain will be sure to accent any gold jewelry you might be wearing. 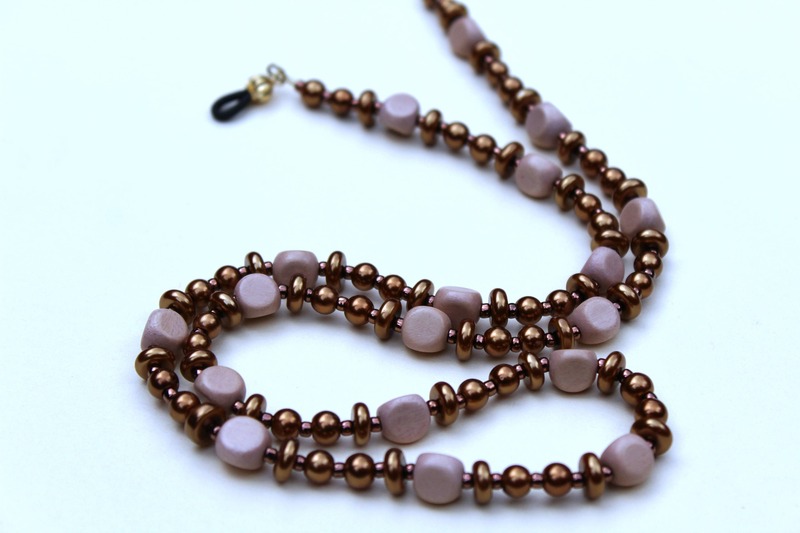 The copper colored beads used are glass pearls. 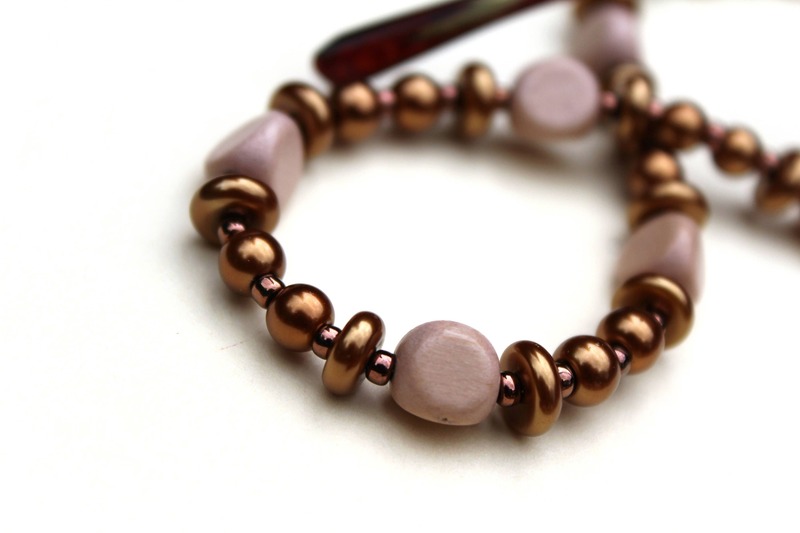 The thin flat copper beads you see are approximately 8x3 mm. The large wood beads are a light tan color. 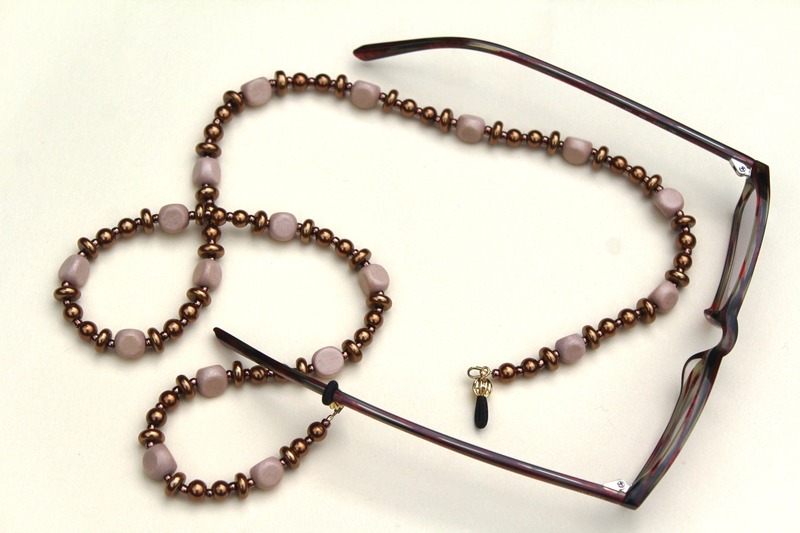 The entire eyeglass chain is approximately 29 inches long. This piece is an original design, created and handmade by Michele of MichelesAManoDesigns. This is the coolest reader chain I've every owned. Very classy looking and just the right size and light weight. The shipping was very quick. I will buy from this seller again.